Erika Pedersen has extensive litigation experience in a full range of employment discrimination matters, including Title VII, the Equal Pay Act, Section 1981, the ADA, the ADEA, the FMLA, and various state laws and local ordinances. Her practice includes representing clients in all aspects of litigation, including state and federal administrative proceedings, trial, pre- and post-trial procedures, and appeals. 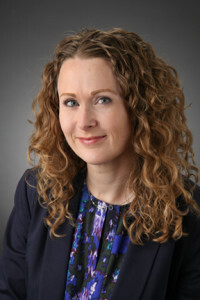 She also has extensive experience representing clients in alternative dispute resolution procedures, including mediation and arbitration. Ms. Pedersen has represented employees across the country in individual and group litigation, as well as in class action lawsuits. She has represented employees in a wide variety of industries, including the securities and financial industry, medical device and pharmaceutical sales, real estate, manufacturing, service, and retail. She has also litigated against local governments, including the City of Chicago. Prior to establishing her own firm, Ms. Pedersen was a partner at Stowell & Friedman, Ltd. in Chicago. Ms. Pedersen is AV peer review rated by Martindale-Hubbell, representing the highest possible score an attorney can attain from the gold standard in attorney ratings. “AV” rated attorneys represent an elite group of approximately 10% of all attorneys. Ms. Pedersen has also been selected as an Illinois Super Lawyer every year from 2011 to 2019 and was named one of 2010’s Illinois Rising Stars. Attorneys receive the Super Lawyer recognition after being evaluated on 12 indicators of peer recognition and professional achievement. Author: “You Only Get What You Can Pay For: Dziubak v. Mott and its Warning to the Indigent Defendant,” 44 DePaul L. Rev. 499 (1995). Ms. Pedersen has spoken at American Bar Association, Federal Bar Association, and Chicago Bar Association events and seminars on topics in employment law.